Alex is proudly born and raised in the west coast community of Langford, British Columbia just outside of Victoria. He attributes his love for the environment from his father, a former naval officer, and his mother, a geologist, and teacher, who taught him about the beautiful natural world while growing up sailing and camping around the coastal waters and lush forests of British Columbia. Alex came to law school with the goal to make a meaningful and lasting impact on the world around him. 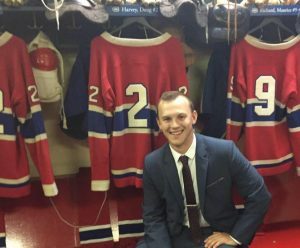 Alex completed his Bachelor of Arts in history at the University of Victoria in 2016. It was during this time that he became inspired to learn more about environmental law after taking courses relating to Canadian environmentalism and policy. Alex is also a member of the Métis Nation of British Columbia and worked on the board of directors with the Métis Nation of Greater Victoria for a year prior to law school. Away from law school, Alex loves to play sports, specifically baseball where he continues to play competitively each summer. Christina in now entering her third year at Osgoode Hall Law School and is delighted to join the Environmental Justice and Sustainability Clinic. Prior to attending law school, Christina completed an undergraduate degree across the way at the Faculty of Environmental Studies at York University, and went on to work in the corporate sector doing energy audits and environmental compliance. 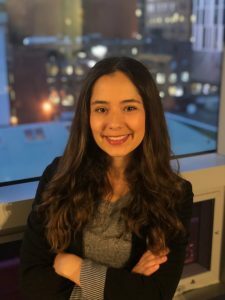 During law school, Christina continued to be interested in the human rights and public health aspects of environmental law and worked as a research assistant in human rights, and for a large corporation in health and safety throughout her previous two years at Osgoode. During her free time, Christina loves weightlifting, playing piano, eating chocolate, and walking barefoot in the grass. Erik came to law school with vague ideas of changing the world, having previously worked in circumpolar affairs and policy at DFATD, in personal banking, and as a whale trainer. It wasn’t until this previous summer, when he was working with the Maya Leaders Alliance in Belize, that he realized that his life trajectory was naturally leading him to environmental law. Within Osgoode, Erik is the Deputy Director of the Osgoode International Legal Partnership program, and an upper-year mentor. Outside of Osgoode, Erik enjoys running, hiking, and boardgames. 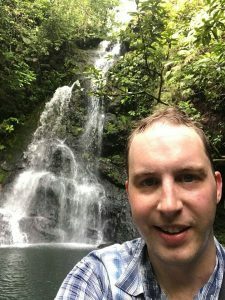 Graham is in his second year at Osgoode, having completed his Bachelor of Arts in Human Ecology at College of the Atlantic and his Master of Environmental Studies in the urban planning stream at York University. After finishing his undergraduate degree, Graham spent a year working with communities experiencing climate change impacts in Norway, Bangladesh, Malaysia, and the Maldives as a Watson Fellow. He has served as an advisor to developing country negotiating teams at the United Nations Framework Convention on Climate Change for four years. He is deeply engaged in Osgoode’s student community, serving as the Vice Chair of Student Caucus, the co-president of the Osgoode OUTlaws, and a Senior Editor for the Osgoode Hall Law Journal. In his free time, Graham enjoys cycling, cooking, and gardening. Isabel Dávila is from Ecuador, where she attended law school for three years and worked as a paralegal. 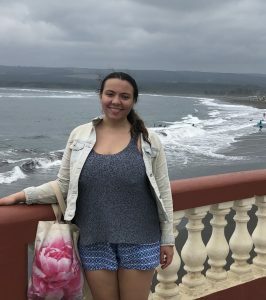 As a law student in Ecuador she learned about the country’s constitutional and legal framework which gives nature an exclusive set of rights and legal personhood of its own. She has worked on cultivating a culture of non-violence, sensitization and environmental practices with the “Escuela de Líderes” since the age of 14. She’s worked at the Women’s Human Rights Education Institute and as a Research Assistant for the Justice and Corporate Accountability Project. At Osgoode, she is the Osgoode Sustainable Director for the Environmental Law Society and volunteers with the International Refugee Assistance Project. In her spare time Isabel enjoys contemporary and ballroom dance and is an avid Barcelona FC fan. 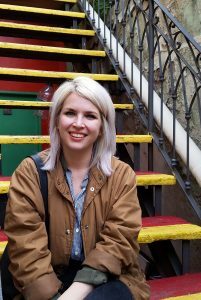 Jennifer completed her Bachelor of Management, majoring in Sustainable Environment and Resource Management at Dalhousie University in 2015. She is interested in and appreciates the complexity of balancing social, economic and environmental considerations in decision-making processes. At the same time, she has a firm belief that there can be no economy or society without a healthy environment, and hopes to protect earth while collaborating with industry and the public. Jennifer had the opportunity to attend the Anishinaabe Law Camp in 2017, which showed her the breadth and beauty of Indigenous legal traditions and culture. She is aiming to incorporate Indigenous laws and voices in environmental policy reform during this transitional period in Canada’s environmental regime. Jennifer is the co-Director of Sustainability for the Environmental Law Society, undertaking hands-on projects to improve sustainability at Osgoode. She enjoys backcountry camping, yoga, Vedic astrology, running, concerts and vintage shopping. Piotr came to Canada as a political refugee from Poland in 1989. He has been passionate about the government’s role in shaping environmental policy from a young age. While completing his undergraduate degree in Global Political Studies at York University, Piotr specialized in Middle East and European Affairs. 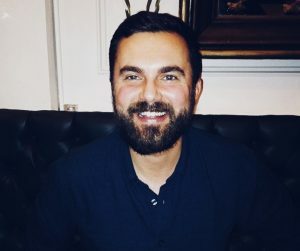 As a Master’s student at Queen’s University in Kingston, Piotr’s Major Research Paper was entitled “Environmental Policy: Poland and its Accession to the European Union.” Starting this fall, Piotr will be part of the executive team of Osgoode’s Environmental Law Society. 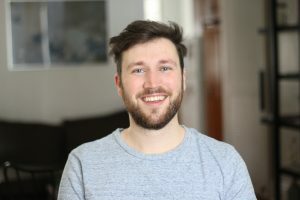 Apart from studying, Piotr spends his time playing tennis, reading about history and politics, hiking, watching soccer (serious Liverpool supporter – YNWA), and drinking red wine. Riel is a third year student at Osgoode, having completed her undergraduate degree in economics at the University of British Columbia. Prior to coming to law school, she worked for the City of Toronto in the Environment and Energy Division. 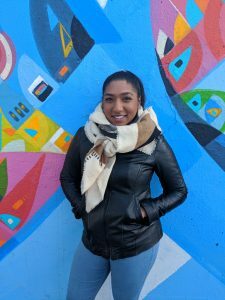 In law school, she has volunteered as a student caseworker at Rexdale Community Legal Clinic and participated as an oralist in the Laskin moot. This past summer she worked for the Ministry of the Attorney General, where she will also complete her articles. Outside of law school, Riel enjoys reading, playing softball and basketball, swimming, and sewing. Before coming to Osgoode Hall Law School Yvonne served as Chief of Staff to Marc Kielburger, Co-Founder of WE. 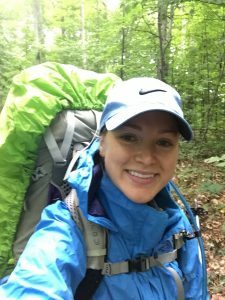 Her professional career, however, first began in the environmental field while completing her Bachelors of Environmental Studies (with a specialization in Environmental Politics). As a student, she interned for the US Environmental Protection Agency and US Department of Energy, and, following graduation, worked for a small-scale biodiesel company in Kampala, Uganda. After later completing her Masters in Political Science, she gained experience in Municipal government, first at the City of Toronto and then at the City of Buffalo. She looks forward to re-engaging with environmental issues through her time at the EJS Clinic. In her spare time, she loves travelling and sewing clothes.